The EUR/USD currency pair keeps being unstable. 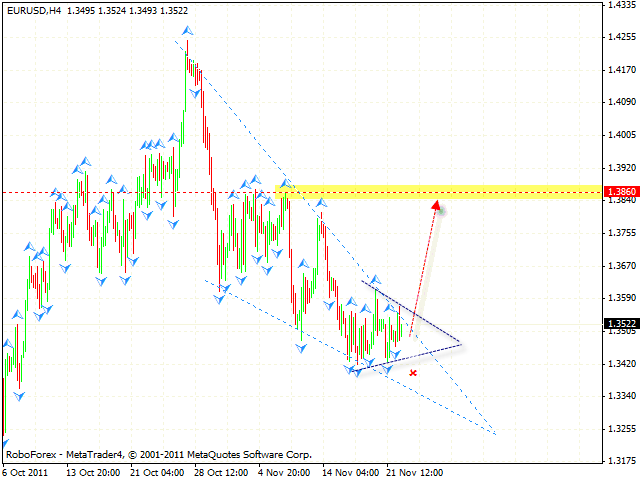 Currently the price is inside the “triangle” pattern. It looks like the price is going to break the pattern upwards, so we should expect the pair to grow to the level of 1.3860. If the price breaks the pattern downwards, one can consider selling the pair with the tight stop. 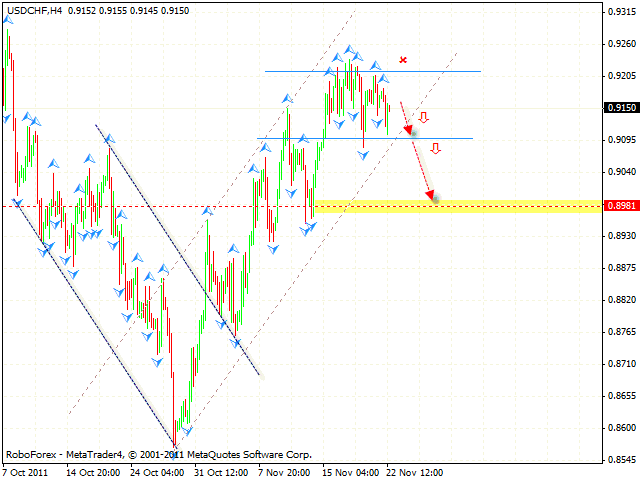 Franc keeps moving inside the rising channel, and currently we have “head & shoulders” reversal pattern forming with the final target in the area of 0.8981. One can consider selling the USD/CHF currency pair with the tight stop and increase the amount of short positions only after the price breaks the support level. The AUD/USD currency pair was supported near the channel’s lower border, we should expect the price to rebound from it and move to the channel’s upper border in the area of 1.0030. 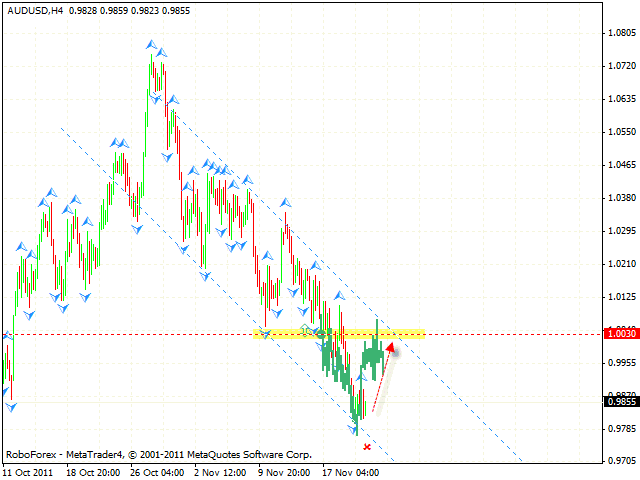 If the price leaves the channel, one can consider increasing the amount of long positions. If the pair falls lower than 0.9855, this case scenario will be cancelled. 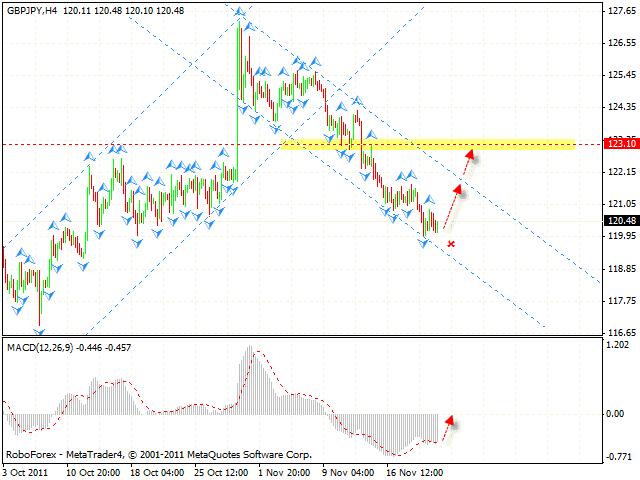 The H4 chart of the GBP/JPY currency pair indicates a possibility that it may grow to the level of 123.10. At the MACD we have “head & shoulders” reversal pattern forming, one can consider buying the pair with the tight stop and increase the amount of purchases only after the price leaves the channel. If the price breaks local minimum, this case scenario will be cancelled. 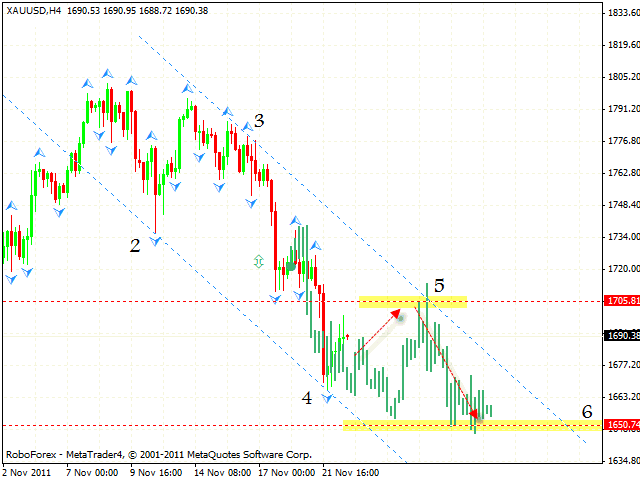 GOLD is moving inside the descending pattern, the target of the fall is the area of 1650. We can expect the price to test the level of 1705, where one can consider selling the instrument with the tight stop. If the price breaks the descending channel’s upper border, one can try to buy GOLD with the stop below 1660.